Are you looking for a recipe for a cake or dessert, then you've come to the right place, every month after hours of scanning around the internet I pull together those recipes that I truly have to try to want to share, then I narrow it down to my favorites and post them here for you all to drool over and of course try for yourself ...... enough said, on with the baked goody-goodies. Deliciousness all on one page! I truly don't think I've ever seen a more mouthwatering colourful cake in my life, this is full on sunshine on a plate, you look at this and you know there's going to be a party and a party in your mouth. I am already planning on when I can cook this cake and who for, my daughter has seen it on here and has put in her order and she also wants me to cook it again a week later for her brother's birthday - definitely a hit with everyone that sees it and actually extremely simple to put together, of course if you're not keen on Kit Kats you could use any chocolate goodie that your heart desires. And if it's a more adult cake you're looking for, although I don't know a grown-up that doesn't want to devour this on sight, perhaps filling the top of the cake with strawberries or raspberries to cut through and lift the taste of the sweet frosting and chocolate ganache. 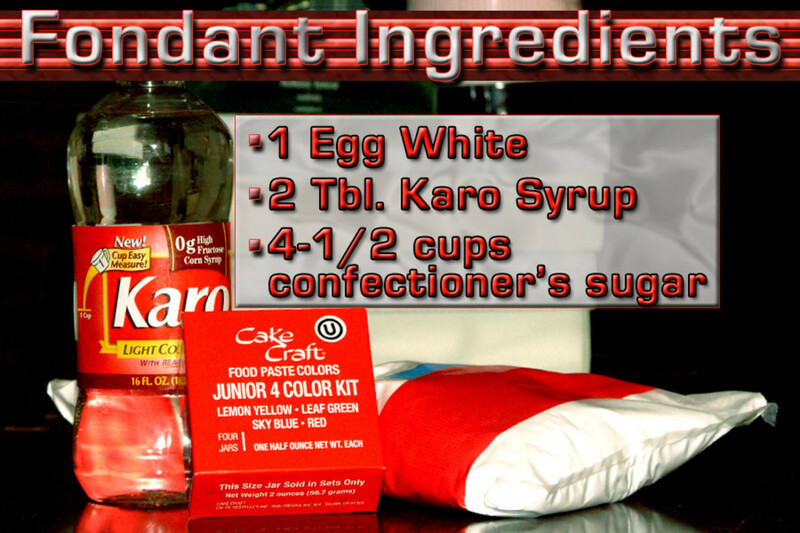 I tried this recipe out just this month and it turned out perfectly - this is much easier than it looks, took absolutely no time at all to put together and you could speed it up even more by using a readymade frosting, my only tip is that you should make sure you cover the sides in enough lovely squishy frosting so that the Kit Kats have something to stick firmly to. Here is the one I made for my friend's son's birthday - he chose to have Skittles on top of it instead of M&Ms, I wouldn't recommend it - too hard and chewy, something like Dolly Mixtures, chocolate buttons or Maltesers would be my choice! Here is another version of this cake that a friend sent to me on Facebook - this is soooo cute, I have to try to make this version and I know just the person I'm going to surprise with it. The little pigs are made out of pink marzipan or if anyone is allergic to nuts then I suggest you use Royal or Fondant icing. 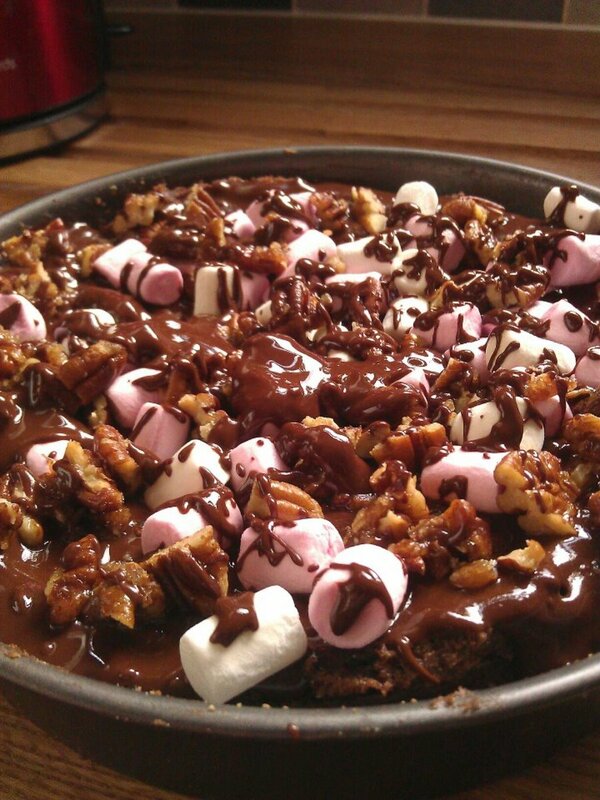 And as for the chocolate ganache have a look at my Rocky Road Birthday Cake, also highly delicious, (see the link below) which should be just perfect for that. 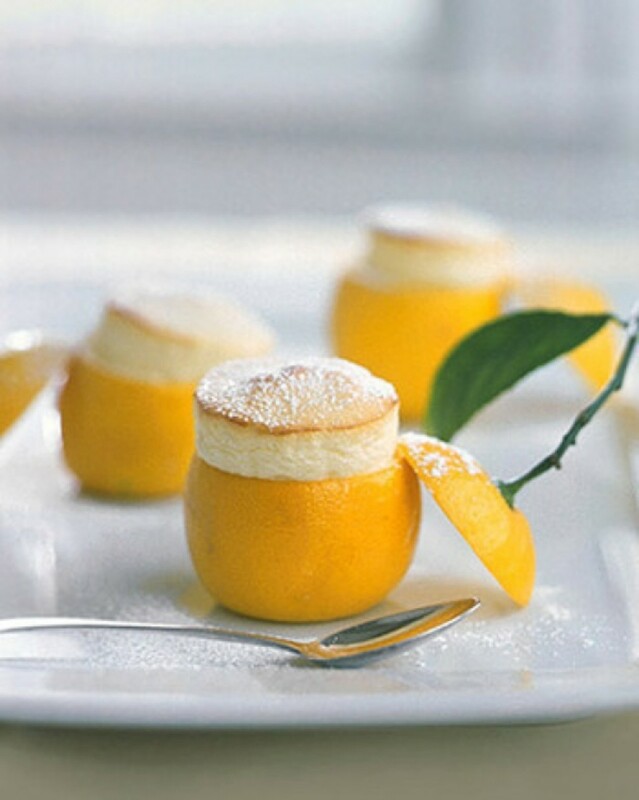 Don't these little desserts look really elegant? You just know that your dinner guests are going to be delighted to have these put in front of them, and you also know that when they start to eat them they are going to get mouthfuls of mouthwatering, light lemony pleasure. These are the kids' favorite breakfast pancakes, hands down this is what they want and the original featured here is extremely tasty, but what my children prefer is my pancakes done this way, I'm afraid no amount of chocolate is going to cover the wholewheat as far as they're concerned, so here you will find the link to the originals in the photograph and below that the link to my pancakes which you can vamp up if you want a less healthier version. 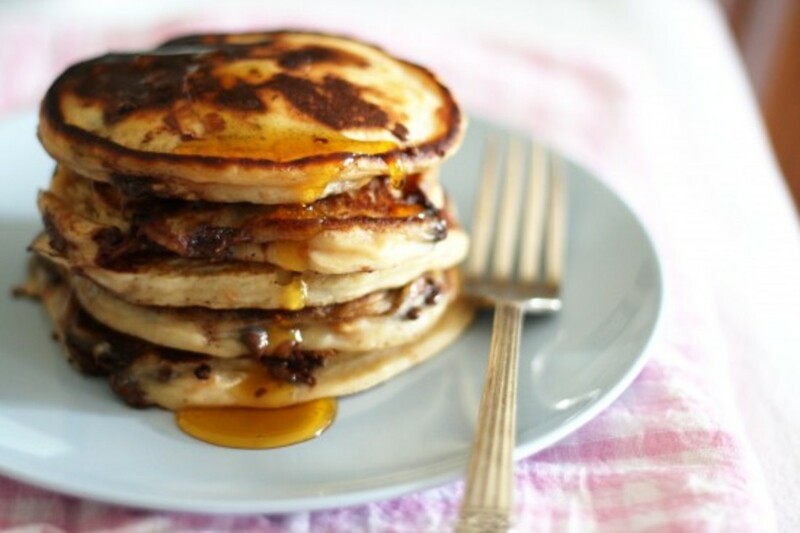 Either way they are a divine start to the day or a perfect weekend brunch. I included these especially for my daughter, she adores candy cane, known in the UK as holiday mint rock. 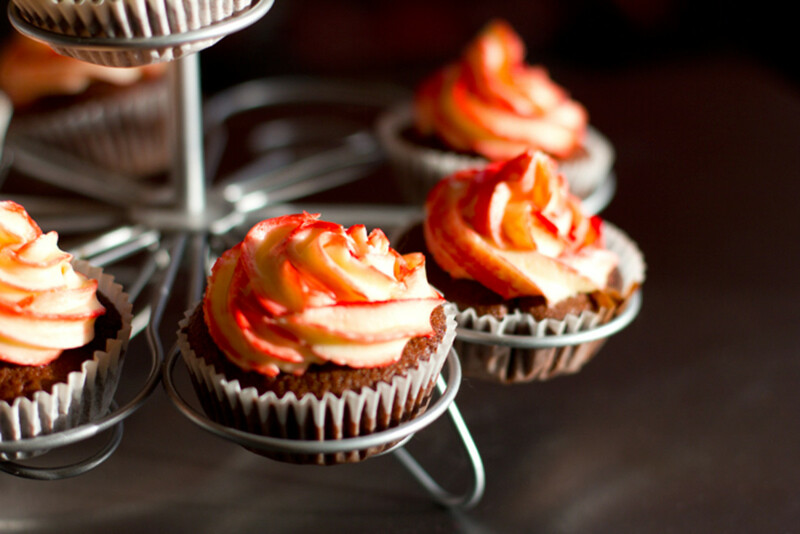 She also adores cupcakes and when I found this recipe that combines two of her special favourites I just had to make them for her, these are a wonderful treat and the fact that they look so very pretty in their two-coloured swirls just makes them perfect. When you can tell the kids that they can have cookies for breakfast and know that what they're eating is going to be very good for them then everyone's going to be happy. 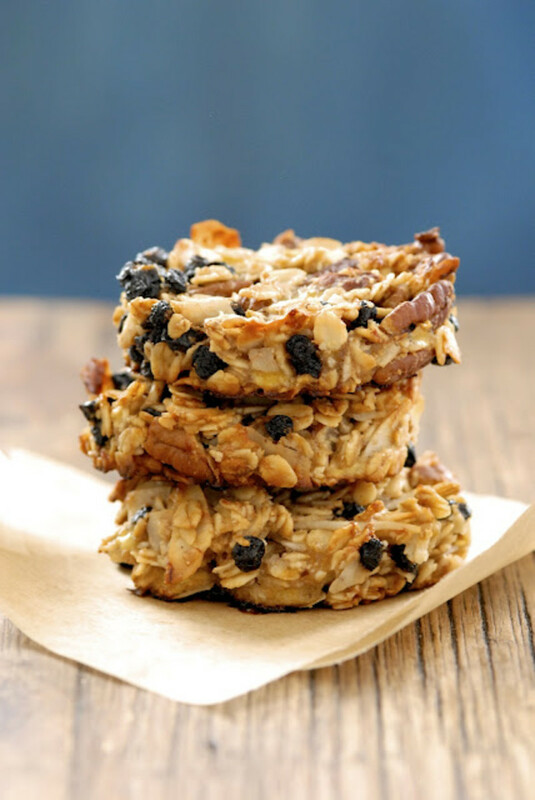 These scrumptious divine little tasty snacks have a number of superfoods in them; blueberries, pecans and oats, they're perfect when your children don't want to eat anything for breakfast and of course they are just ideal for healthy snacks at school and in lunchboxes - AND the grown-ups love them too. 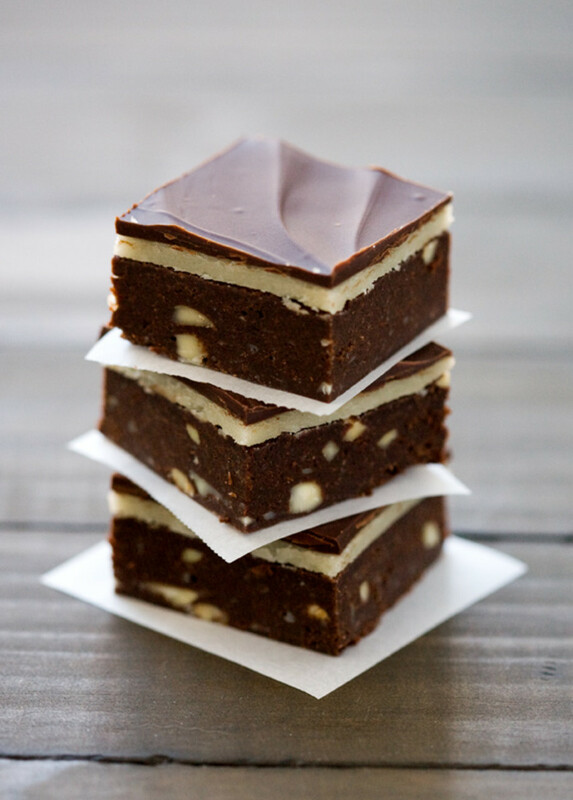 These yummy little devils look innocent enough but are packed full of flavour, the marzipan-almond flavour melts into the dark chocolate brownie taste, they are decadent and just the thing for an afternoon chat with the girls and some rich creamy coffee. 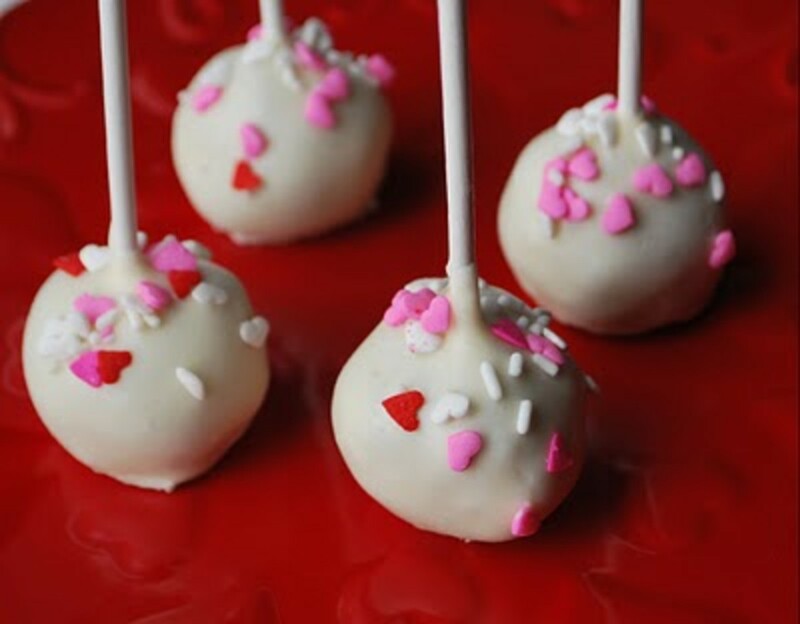 Treat yourself and your friends to these wonderful little pieces of heaven, I like to cut these into tiny little one bite morsels, I'm all about the cute. Okay the first thing I noticed about this cake was the pieces of Reese's Peanut Butter Cakes on top, so immediately I know that I'm going to love this and I know what it's going to taste like. The fact that the next two things which are always high on my agenda are smothering this cake; chocolate and cream and I'm now so excited I can't wait. Anyone lucky enough to be presented with this is going to be feeling exactly the same way - guaranteed success on a plate. 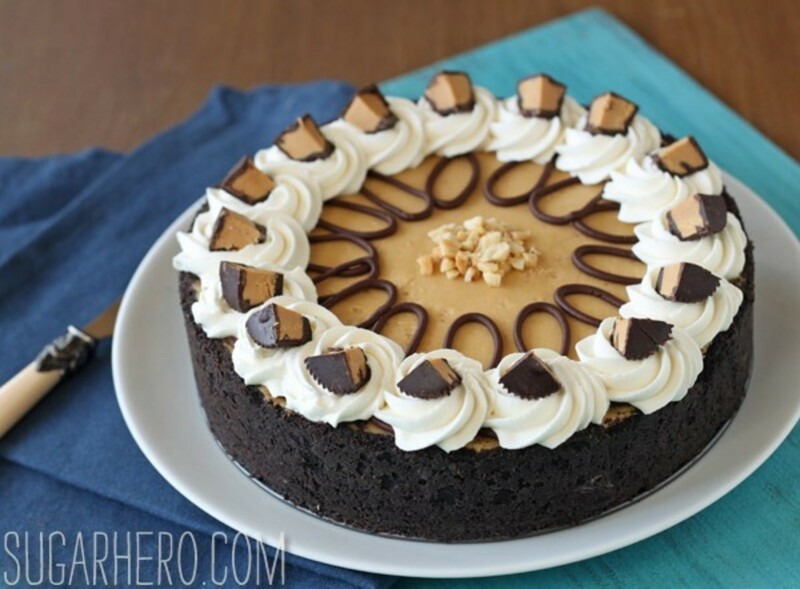 What can I say about this Chocolate and Peanut Butter Cake? It looks fabulous ............ it tastes fabulous .......... it's certainly not on any diet because it's not fat free .......... but do I care? 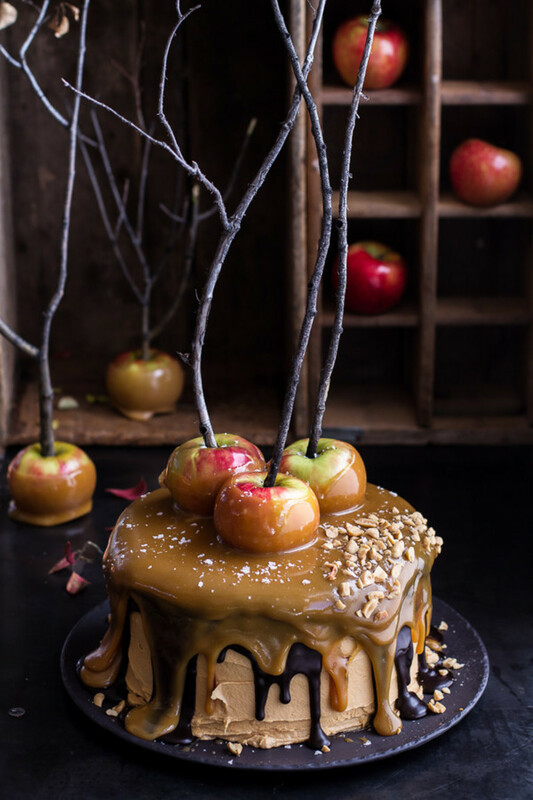 Not one bit, this is to die for cake, creamy, a peanut butter taste that doesn't quit, and chocolate sponge that balances it all out beautifully - perfect for a special event or just a family gathering, whoever you make this for they're going to love you for it. I love pears and so does my family, I have pureed them for a dessert when they were babies, I poach them and pour chocolate sauce and cream on them, and although it's rather kitch I adore them out of cans in their own sweet juices. One of my family's favourite quick desserts is tinned pears with a self-saucing chocolate sponge on top baked in the oven and served with cold double/heavy cream, so simple and quite delicious. 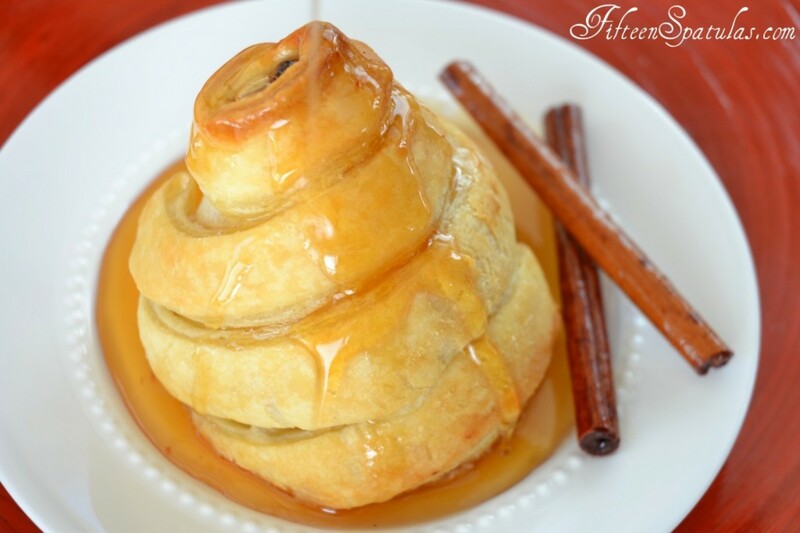 Here is an elegant, stunning looking dessert to enhance any occasion, poached pears wrapped in fluffy, crisp puff pastry, I hadn't thought of doing this before, I don't know why because now I've seen it it just makes so much sense. So have a look at this website, the photography is stunning, the instructions are wonderfully clear, and the dessert, well it speaks for itself - sublime. Yes I know that people think pancakes are for breakfast, or just for that one day of the year, Pancake Day, well not in our house, Sunday mornings, friends staying over, friends popping over for lunch and nothing in the cupboard then this is my answer to that, I always have milk and I always have flour, actually I'm a flour hoarder, every time I see a new flour I haven't tried I buy it, I have cupboards of flour and of course where there's flour there's baking going on, don't worry it never gets wasted, I hate waste. Now as far as pancakes go these are a whole new world of pancakes, I've served these little beauties in the garden after a barbecue and it doesn't matter how full people are they always seem to have room for them. Pancakes are cheap to make, amazingly filling and if you don't really want a sandwich for lunch then how about some pancakes and fresh fruit with a dollop of Greek Yoghurt? One of my favourite treats. 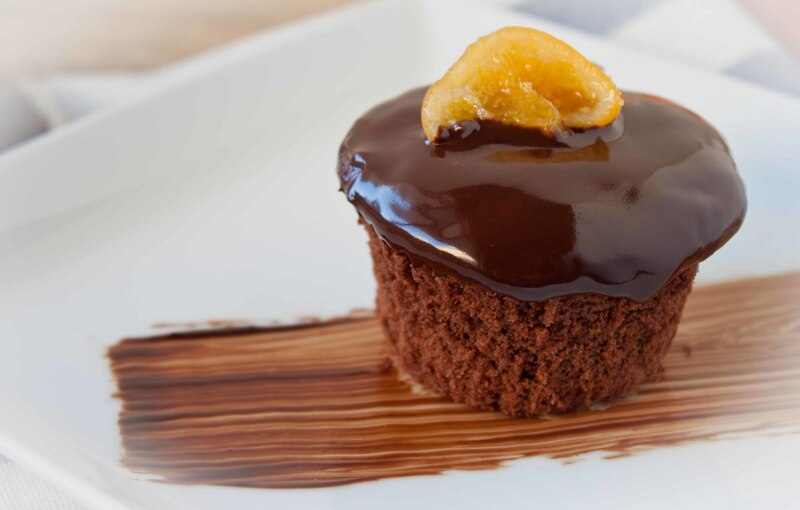 When I first saw this photograph it literally took my breath away, not only is the quality of the photograph brilliant the whole concept of chocolate and orange always captures my attention, I love it, and this recipe is a fabulous example of this perfect marriage of flavours. These cupcakes are exactly what they should be there is no muffin-denseness about them, they are light and full of flavour, the use clementine zest gives it a zing which cuts through the wonderfully rich dark chocolate (always my preference) ganache, topping it all off with a candied clementine segment is sheer genius, this is creativity in the kitchen at it's best. Doesn't this look wonderful? Anything in miniature always gets me and this is no exception. 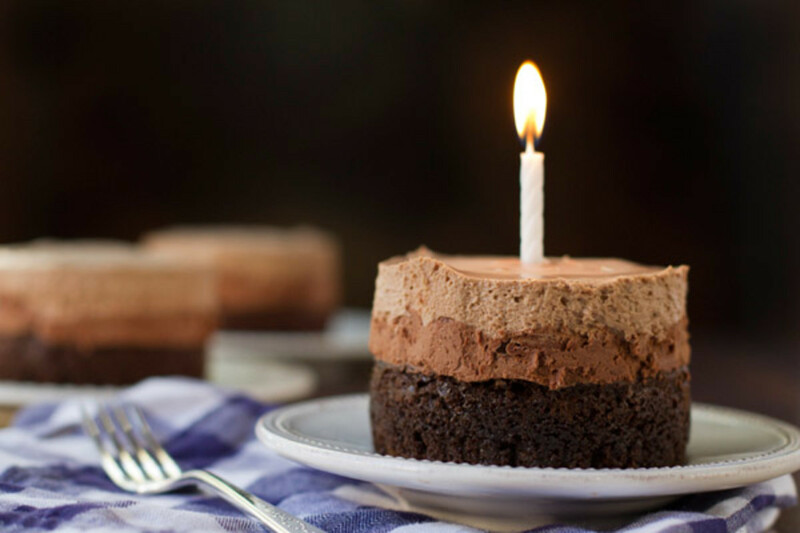 What an elegant way to celebrate someone's birthday, their own little mousse cake that they don't have to share with anyone else, obviously you will have to make a number of these or there will be an almighty fight at the dinner table. Three chocolates, let me explain that for you, a layer of chocolate, then a layer of chocolate and then another gorgeous, light, flavoursome layer of chocolate. 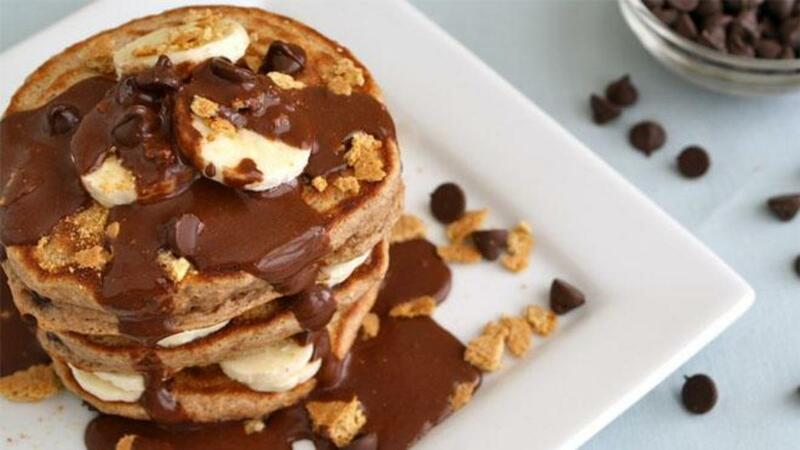 Okay now you need to go away and make this for someone special and if you don't have someone special, make it, send me an invitation and I will come and join you, and I'll try hard not to be followed. 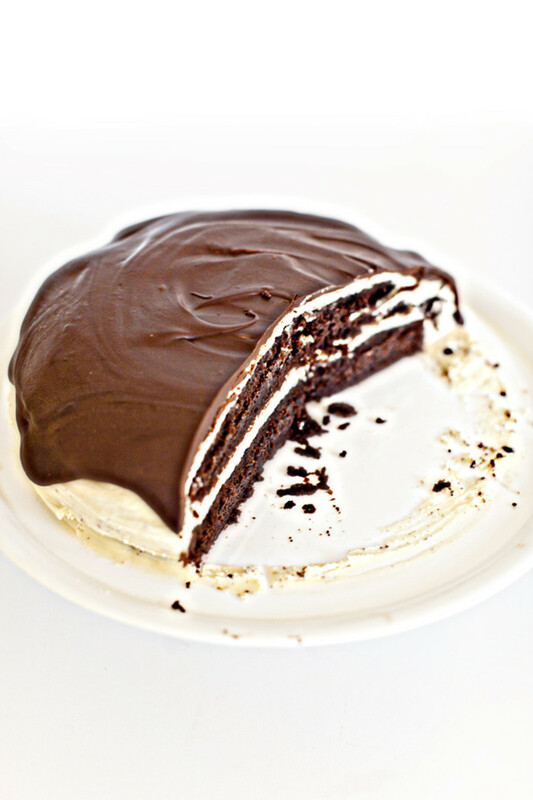 Making a chocolate cake from scratch is easy and can result in a decadent, beautiful dessert. When baked in a Mary Ann pan, this chocolate cake, topped with raspberries and whipped cream, is sure to impress. Sunshine on a plate, a twist on Jaffa Cakes but homemade and much bigger - yum! A most luxurious and stunning chocolate cake with a rocky road topping perfect for a birthday or special treat. 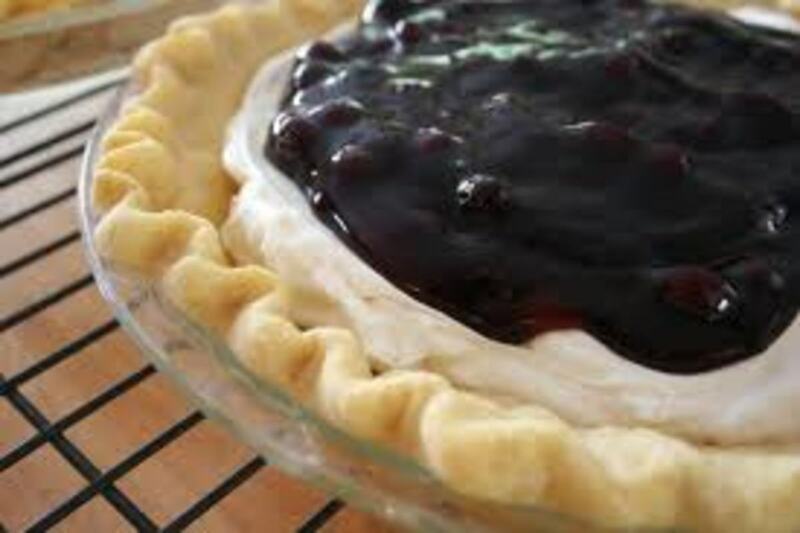 The taste of fresh strawberries is abundant in this simple strawberry pie. Pick fresh strawberries for best results. I can't wait to make the kitkat cake for Red Nose Day on Friday!! Thank you all for your encouragement will do a new delicious desserts hub very soon. Yum! They all look so delicious I can't decide which I'd like to attempt making first! Thanks for sharing! 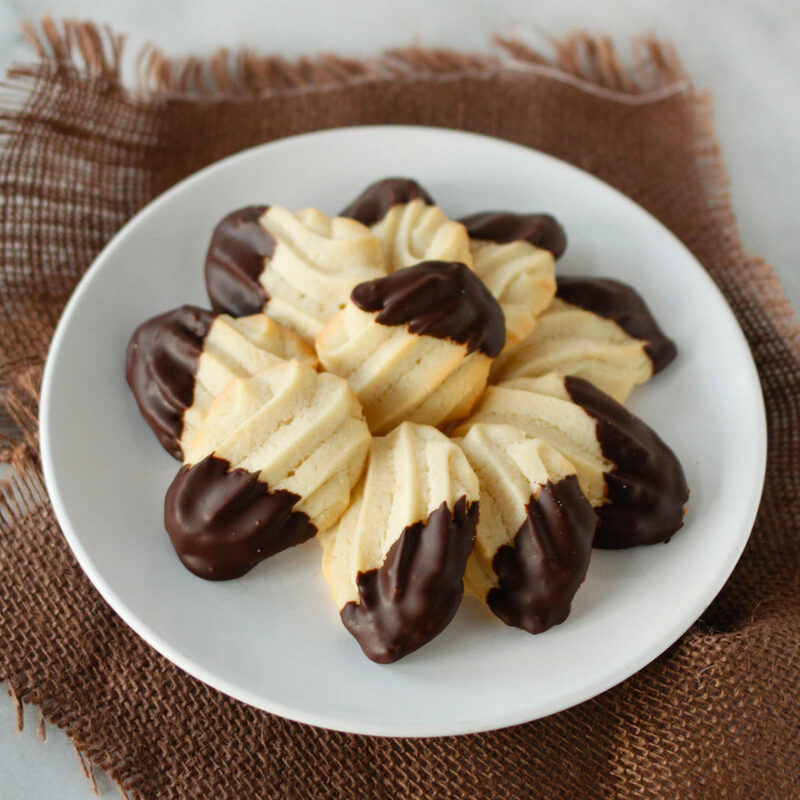 Hi Faith, it's incredibly easy, much simpler than I thought and everyone is always blown away by it, actually I think I would use the Cadbury Fingers next time I make it as I find that unless you have an incredibly sweet tooth the Kit Kats make it sweeter. 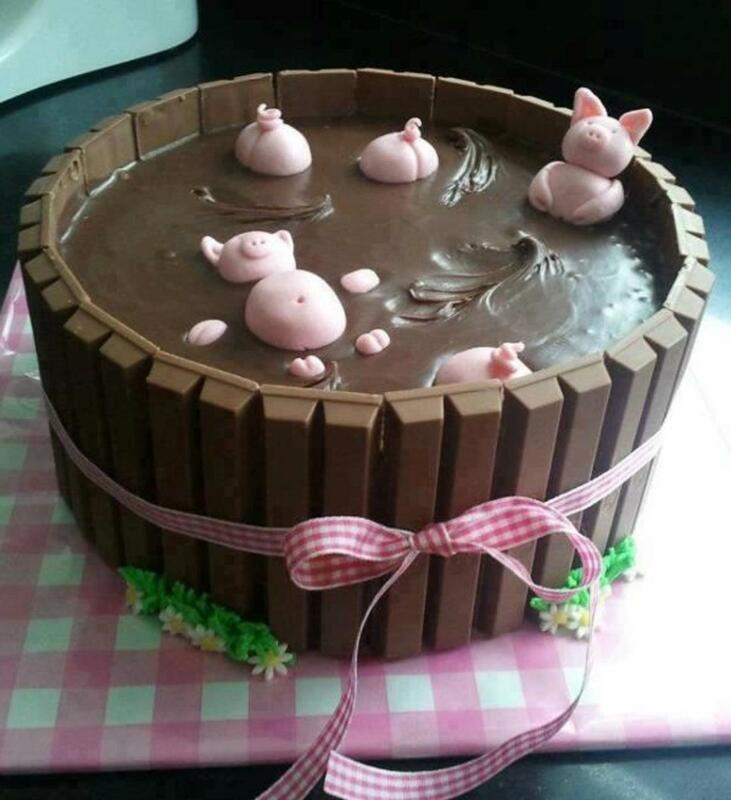 Love the Kit Kat cake idea. Will have to keep that one in mind for the future! I made the Kit Kat Cake today, see the photo above, basically very easy, I used a chocolate fudge cake recipe for the cake and you definitely need a sweet tooth if you're having this - I would recommend cutting thinner slices than you think you'd want, so 2 Kit Kats per person - oh and it cuts beautifully. Wow! The Kit Kat Cake caught my eye immediately while browsing. Definitely going to return to this Hubpage. 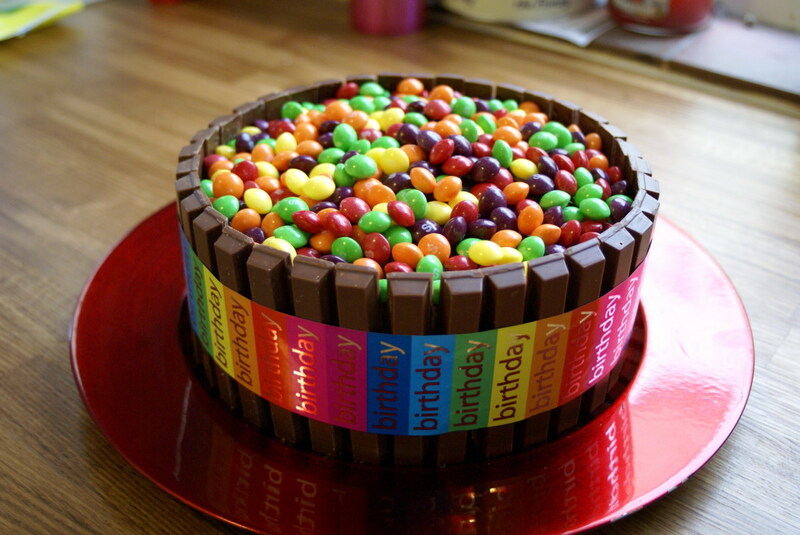 I'm so glad you all love the recipes as much as I do, I am making the Kit Kat Cake (I just love saying that) tomorrow for my friend's son as he will be 16, (Happy Birthday Thomas) except that he wants Skittles instead of M&Ms and since it's his birthday he should have whatever his heart desires. @Claudia - why can't you bookmark hubs? Then again you could always click on each of the links that you want to keep and bookmark the recipe pages. I think I gained 10 pounds just looking at these photos. Those desserts look scrumptious! Oh my! 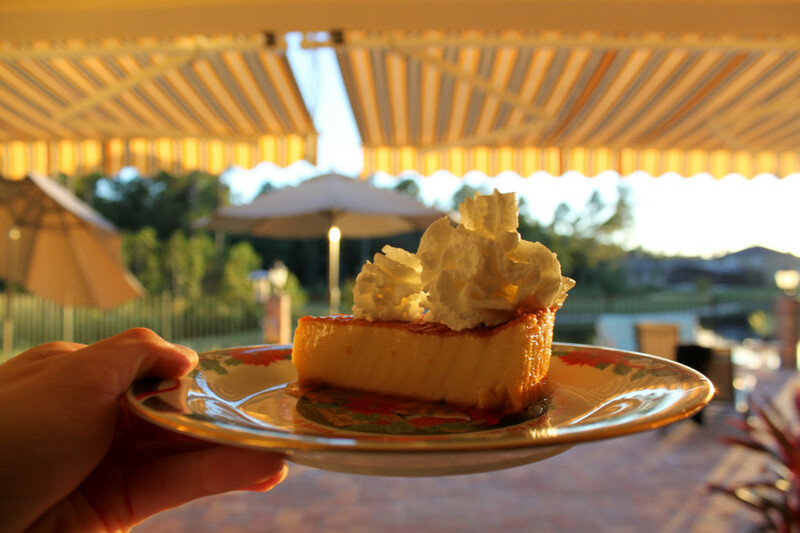 You have several irresistible desserts here. I´d like to try almost all of them, especially the breakfast cookies, the pears in puff pastry and the chocolate peanut butter combinations. Great work! I wish I could still bookmark hubs to keep this one in my folder. Ooh, the KitKat cake looks amazing. Interesting that it's chocolate cake inside--for some reason, just looking at it, I anticipated it would be an ice cream cake. Of course, I'm sure there's no limit on variations . . . Great collection! They all look great, but the first one looks spectacular. 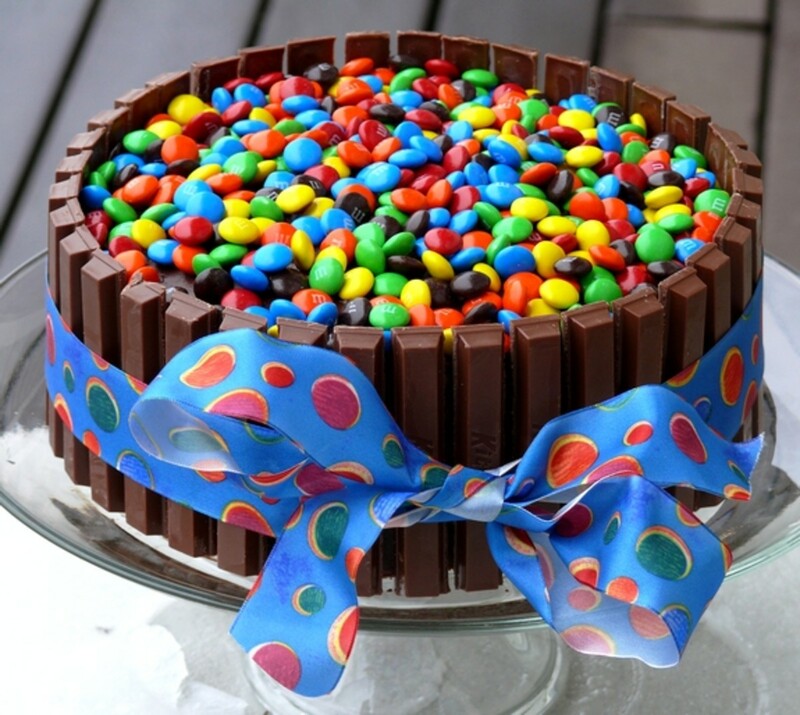 I would love to try some of that Kit Kat M&M cake! 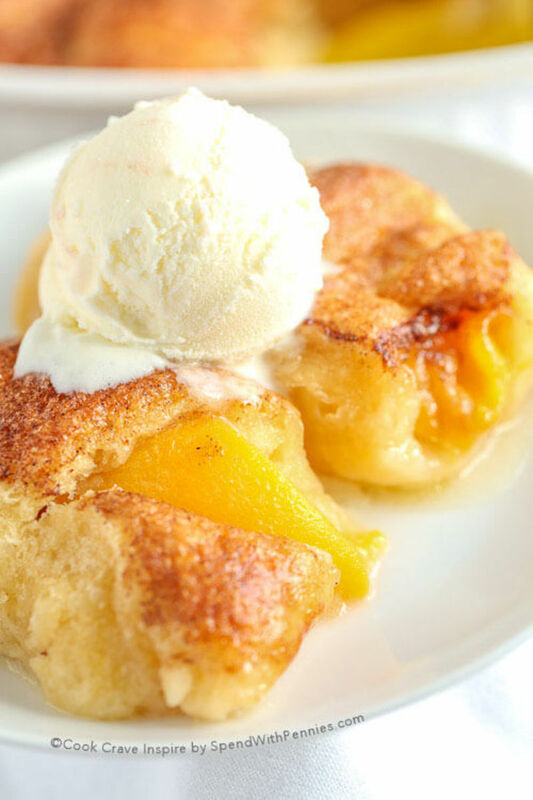 Great job compiling top ten desserts for this month! Voted up.